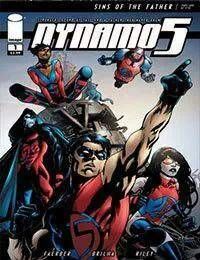 Dynamo 5 returns in an all-new miniseries! As the team struggles to adjust to their new powers, they must combat an alien menace with its roots in an untold adventure featuring Captain Dynamo, Omni-Man, Supreme, and other Image heroes! Plus the debut of NOTORIOUS, a new bonus feature by JAY FAERBER &amp; JOE EISMA! A masked crime fighter targets a powerful mob family. But what are his true motives?